According to the World Food Programme, 20 million people are on the brink of starvation in our world today. In an increasingly interconnected world we are producing enough food to feed all the people on the planet, yet inequality is rising and whilst many overfill their bellies, 1 in 3 people are malnourished. Almost half of all child deaths in developing countries are linked to hunger – that is over 3 million children every year. But simply spreading the news of starvation doesn’t seem to be enough. We’ve all heard the questionable lyrics of pop songs highlighting the issue but no matter how many fancy marketing campaigns you throw at the issue of hunger it doesn’t seem to go away. Why is this? Well, Uganda currently produces more food than it consumes and you guessed it, the excess is shipped out of the country to fill the bellies of people in wealthier countries. I’m assuming you have heard the ‘give a man a fish and he will eat for a day, but teach a man to fish and he will feed his family for life’ rhetoric. But what happens when school fees and uniforms need to be paid with cash, when bus fares and fuel for your cooker require coins and when there are no fish left in the pond because they are all being shipped to developed countries? In Uganda, 5.8 million people are malnourished and at least 9 million Ugandans are food insecure. 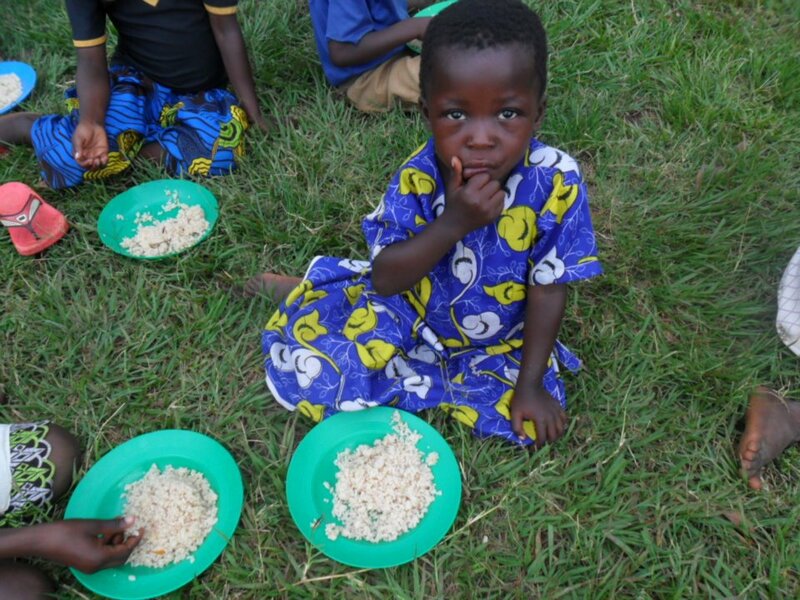 1 in 3 children in Uganda have no food to eat during the whole school day whilst 58% of the population are anaemic. 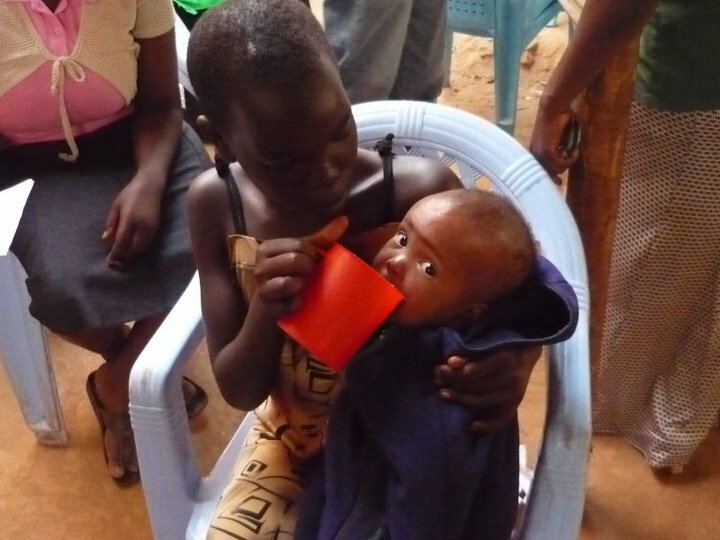 More than ¼ of children under 5 years old are affected by stunting due to malnutrition. Many of the children that Kids Club Kampala work with come from families that food insecure and many end up going to bed hungry every night. Poor nutrition and a lack of food leads to stunted growth and development in children, lack of concentration at school affecting their learning, tiredness and a lack of energy. We come across numerous children who are sadly too hungry and lacking in energy to join in activities and play games with their friends. In 2011, we began feeding children at our Saturday Kids Clubs once a month and in 2012, we began feeding children at our Saturday Kids Clubs every Saturday. In 2013, we began also feeding children at our education project every day. Today, we currently feed around 500 children every day at our 3 Encouraging Education project centres, and a further 1800 children every Saturday who attend our Kids Club activities. We also provide meals for children taking part in our football, music and dance activities throughout the week. 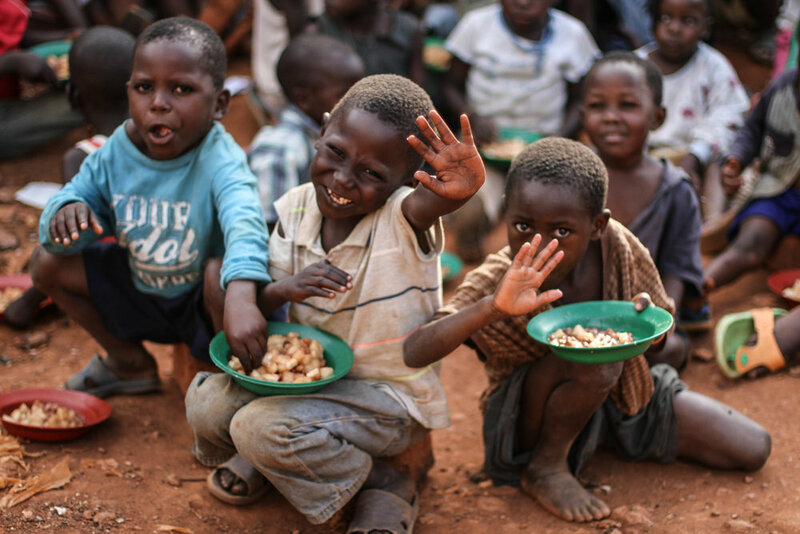 Last year we provided a total of 185,000 meals to hungry children in Kampala’s slums. Good nutrition is vital to fighting poverty, and thanks to our Feeding Programme, we are seeing huge improvements in children’s nutrition, health, energy levels, behaviour and overall well-being. We would love to be able to continue to do this, but we need your help. 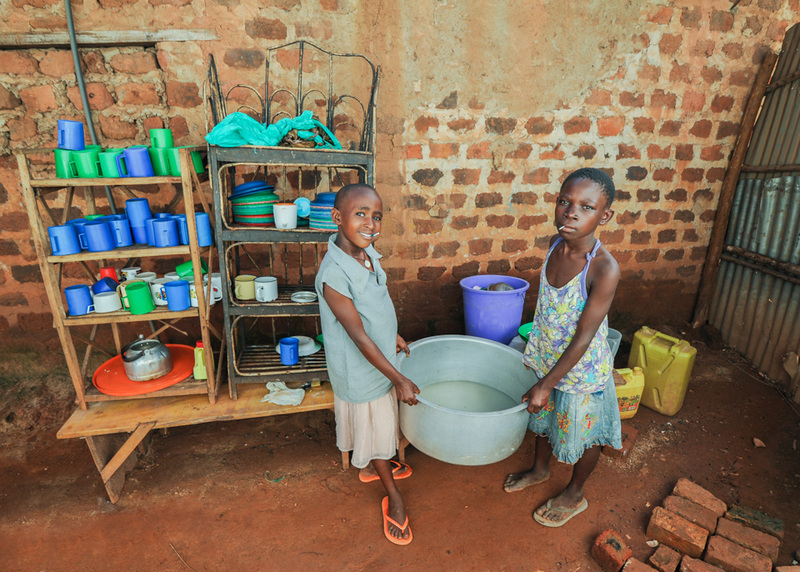 To provide a hot, nutritional meal for a child in Kampala’s slums costs just 20p. If you could help by donating even just for one meal for a child in Kampala’s slums, please click here – we can guarantee it will make a huge difference! Newer PostA Family For Christmas! Older PostGive a gift that makes a difference!